When are international umpires going to start calling no balls again? The Adelaide Test brought up many topics for discussion, but one that seems to have slipped through the cracks is a worrying trend that’s become more and more prevalent in recent years: The refusal of international umpires to call no balls. This has been a pretty dark period in cricket. There’s no need to go into it – so much has already been said – but there is one dimension to the saga that is yet to be analysed. 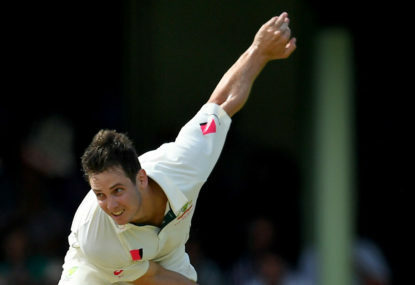 Here we go again… It seems the selectors just can’t look past any option to select a Marsh in the Test team. With Usman Khawaja’s double failure in the first Test, I’ve seen calls from some for him to be dropped for the second Test because he just seems to have issues he just can’t overcome, while others just can’t see how he could be dropped so quickly while others get so many more chances. We just saw a bit of a farce. Australia playing Bangladesh and another washout. That makes two washouts from two matches for Australia. 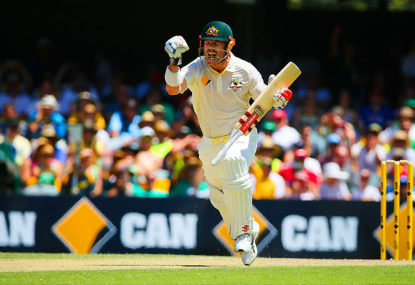 Australia had a good win in the third Test having been smashed in the first two Tests. It’s a thing you often see in sport. A couple of years ago Cricket Australia changed the points structure for the Sheffield Shield. This included adding in points for every run over 200 scored in the first 100 overs of the innings and points for taking the fifth, seventh and ninth wickets within the first 100 overs. I must start this by saying that I personally don’t have a problem with penalty shootouts and don’t subscribe to it all just being more about luck than skill. 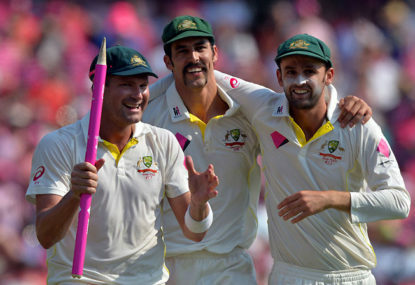 Should the Australian Test team be given more credit? Unless you are someone not at all into cricket, you will be well aware of the fact that just a few weeks ago the Australian cricket team completed a 5-0 whitewash Ashes victory over England. 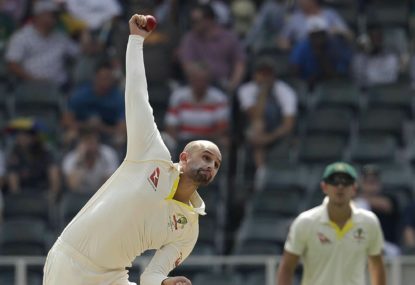 As the dust has settled since the first Test at the Gabba, now is the time to take a look at 10 key talking points from Australia’s first Test win in months. Six rounds are complete in the A-League (apart from the postponed match between the Mariners and Phoenix anyway) and the Western Sydney Wanderers sit two points clear at the top. Could protection of young bowlers actually be hurting them? There has been a lot of talk in recent years about the constant injuries faced by so many of Australia’s talented young fast bowlers. And right there, as you list the candidates, you see the problem. None of them are up to the quality required. Mitch Marsh had a period where he actually was one of our better ODI players. He shouldn’t be anywhere near the test team, but if he can get anywhere near back to his best then he can be every bit the ODI player for Australia that Stokes is for England. Not sure where he’s at right now. He’s had some injuries too. But he really is the only viable alternative to Stoinis at this point really. Although a number of the core players in the team are going to be playing in the World Cup, and they are likely to therefore only have a single red-ball hit-out prior to the first test. 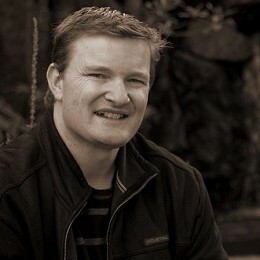 So the more “fringe” players, and those not in the World Cup squad can get good preparation in England (a number of them are already over there playing county cricket even), but because of the timing of the World Cup and Ashes, many of the players will have to just make a very quick switch from white-ball mode to red-ball mode. England players will too, but playing at home that should be easier. Probably the fact that Zampa’s first class average is close to 50. 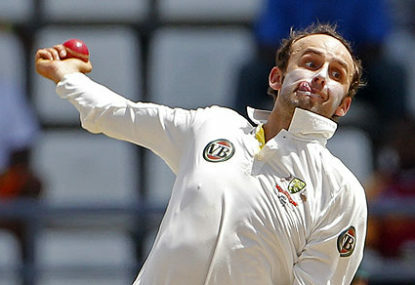 Bowling spin in 50-over and 20-over cricket requires very different skills to first class and test cricket. 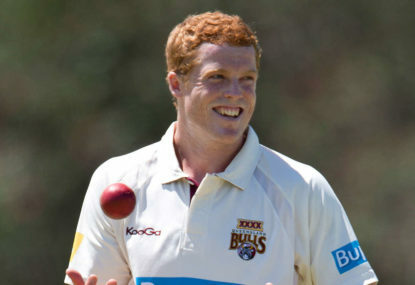 Zampa may be doing well in short form cricket at the moment, but he’s a long, long way from being a test spinner. It will be interesting to see if they can pull it off. In general, bowlers tend to win world cups. In the last World Cup it was very much the four best bowling attacks in the semi’s, the two best in the final, and the best that won. Can England buck that trend and win a tournament purely on the basis of stacking their batting at the expense of their bowling? It’s a risky strategy. They might be able to pull it off, but their bowlers really need to step up. Add to that the pressure of playing at home in front of a home crowd and media that pretty much see anything short of winning the tournament as a failure, and we will see how they stand up. Maybe not directly post world cup, but I think Phillippe definitely has a big chance of filling that position by the next world cup if he can keep growing as a cricketer over the next couple of years. I think D/L is the best we’ve had worked out so far. I believe there have been little tweaks made over the years. D/L is just another thing. There’s never going to be a way to have a mathematical formula come up with a number, in all scenario’s, where one team can have a much shorter innings than the other, yet it’s exactly as even as if they both played the full game. He certainly went through some periods where the seam was coming out pretty scrambled, and would struggle to swing. I must admit though, on that respect I thought he started the summer very well as far as his release and wrist position were concerned, and he was getting very good seam position. The Kookaburra still wasn’t swinging much though. Also, Short is a top-order player, and Wade, also, has generally been a top-order player in white ball cricket. The top-order is stacked. Hence someone like Ashton Turner gets a gig this late, because he’s in there as a “closer” which is more the weaker area for the team. 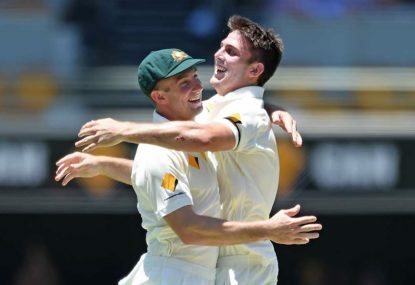 Starc at his best is a great closer, so is Cummins. In the last World Cup, where teams were averaging over 10rpo in the last 10 overs, nobody could get Starc away during that period. He was regularly going for no more then 3-4rpo in the death overs. Obviously we don’t know what his form will be like coming into this WC. The injury enforced break may have killed his rhythm, or it may be just the break he needed to be on fire come World Cup time. I guess we will find out in May! The scale of Warners impact on team morale will almost certainly be positive. To welcome back your most destructive ODI batsman into the team just in time for the World Cup can only be a positive to the others around him. The only player who’s morale it might hurt is whoever has to make way in the starting lineup. Wade has been tried and failed a few times previously at international level and never been able to come close to replicating domestic form to international cricket. So the selectors have gone a different direction and it’s reasonable to give those guys a bit of a run to see how they go. At the start of the season most people would have considered Wade in the “never to play for Australia again” dustbin. Having such a good season now has him as someone who could potentially be considered. That’s a big step. If he wants a return to international cricket he’s just going to have to keep doing it and then if an opportunity does come along he has to totally nail it like he never has before. Actually, Bairstow didn’t score his hundred off 15 fewer balls, he scored it off 2 fewer balls. Bairstow brought his hundred up off 52 balls, Warner brought his up off 54 balls. Bairstow then went 6, 1, 6, out off his next four balls, While Warner brought up his hundred with only a couple of balls remaining in the innings and didn’t score any more after that. In fact, it’s quite remarkable that Warner was able to bring up his hundred in only 2 more balls than Bairstow while scoring a lot less of that in boundaries. He had 5 fours and 5 sixes. When Bairstow brought up his hundred he had 12 fours and 5 sixes. Yet Warners hundred only took 2 more balls. So I’m betting (don’t know how to find the stat out) that Warner faced a lot less dot balls in his innings. I totally agree. Racing drivers actually have to be incredibly fit. It’s really hard work. I’m not in any way saying it’s not. Just wondering if you can’t really discredit something like Horse Racing as a sport but keep things like Motor Racing. Sport is a very broad concept. What makes something a sport? E-Sports, Ballroom dancing, darts, snooker, etc. Do these things count as sports? I agree that I think Warner probably should be opening. However, I still really don’t see a spot for Khawaja at 3. I think he’s either opening, or he’s in the squad as a backup opener but misses out on the first team. Which is might unlucky for him. But I just get that feeling that he really needs to be starting out when the field is up in the opening powerplay, and if he’s not, then he’s nowhere near as effective. The difficulty with this is, you are trying to be so tongue in cheek, yet hit some genuine points in between ones that are surely just pure satirical comments. I certainly have to agree on the Mankad thing. Batsmen should just watch the ball out of the bowlers hand and not leave their ground until the bowler releases the ball. If they do, don’t complain about being run out. That being said, I can still see how people could agree with the Mankad as a dismissal but disagree with the recent one by Ashwin. – “Nick Kyrgios is a pretty fun guy”. Apparently Nick is incredibly well liked in the dressing room and gets on really well with most people, has his own foundation, does lots for charity etc. So with all his failings, I’m pretty sure your statement is actually quite true. – “AFLW games are worth paying for and should charge for tickets next time around.” I’ve not got into AFLW, but largely because I can’t stand AFL at all. However, surprised to hear they don’t charge for tickets at all. The WBBL charge for tickets. They are a lot cheaper than to the men’s BBL, but you still have to buy tickets to go to games. So I don’t see why they wouldn’t do that in AFLW also. – “Sportsmen who think it’s no big deal to suffer repeated head trauma are a bit weird” – probably more a case of they don’t see the negative effects immediately, so they have trouble recognising it. Remember that it took a long time for people who run many of these sports to accept the fact that repeated concussions were actually causing lasting damage and they needed to make changes in the sport. It’s a bit like people who smoke, or eat way too much sugar. The issues that come up are long term and easy to ignore in the short term because you don’t see the issue. – “Being suspended for 12 months means after 12 months you get to play again without being told that you ‘owe the public’ something more.” – Have to fully agree on this one. I have to admit I’m not a fan of horse racing, mostly because it’s more about the gambling than what happens on the track, but if horse racing isn’t a sport, does that also meant that you can’t count any motor racing as sports either? To some extent yes, the normal punishments seem too week. But the issue is enforcement. I was reading something about it saying that all of the players caught ball tampering in the last couple of decades, it has always been players from the visiting team, and it’s always caught by the local broadcaster. The one time that an umpire has reported for ball tampering in the last 20 years, based on what they saw, rather than what was caught on camera, the team kicked up a stink, appealed the decision, and it was the umpire who paid for it. So, effectively, it becomes up to the host broadcaster to catch ball tamperers. 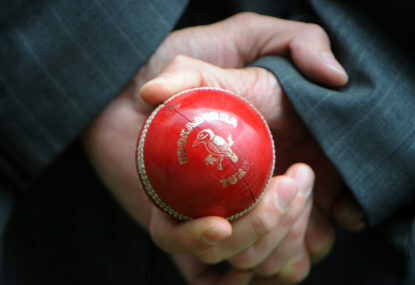 Ball tampering mostly tends to happen between overs, at times when cameras aren’t closely following players unless the broadcaster is explicitly looking for something. So I think the punishments are largely lacking because there isn’t a fair way to enforce it, and they know that players get caught because a home broadcaster is trying to go after visiting players rather than because they are any more guilty than anyone else. And because of that it didn’t seem fair to just make the punishments tougher without a better method of enforcement and detection of ball tampering. Warner won’t be in slip. 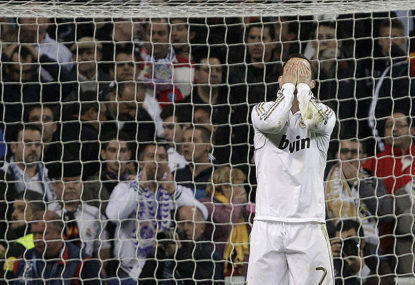 He’s usually somewhere like covers or mid-off these days. That’s not really any sort of elephant in the room. Every single team has been pushing the treatment of the ball to, and often beyond, the absolute limit of the laws for a long time. The difference in this case is simply that it was something that happened in a way it became almost impossible to deny, so they came clean and accepted significant punishments dealt by their home board, instead of continually denying everything, and being backed to the hilt by their board in challenging any sanction imposed by the ICC. Yeah, the only interviews should be when receiving player of the match awards or the like. Then it’s just all about the game in question. Keep them both away from all press conferences. Yeah, Warner doesn’t do the boundary much anymore since his shoulder isn’t up to throws in from the outfield anymore. Yes, the mythical “clutch” performer does seem to be considered a requirement to be considered a true champion. Yeah, the stuff that went down in South Africa, with the SBW masks and things was seriously poor taste. I’d be surprised if the Barmy Army would drop to those sorts of levels. And I’d be pretty shocked if anyone actually brought Phil Hughes into it just to try and put Warner off. Any personal actions of the players, whether inside or outside the cricket realm can be fair game (things like Warner punching Root, Bairstow “headbutting” Bancroft, Stokes being a complete thug etc I wouldn’t have an issue with being the sorts of things that get brought into it). And you can guarantee there will be sandpaper references. That’s also completely fair game. Agree with you Viv. Crowd expression is one thing. Bullying and abuse are another. The crowd coming up with songs and chants and things about players is fine, but racial abuse and personal attacks and the like should see people getting ejected. It should never be acceptable behaviour. It is an interesting thing though, because sport is inherently a battle between opposition for whom trying to break concentration and get under the oppositions skin is just part of the game, there are some things that become just part of sport that wouldn’t be acceptable in any other workplace. But there still needs to be clearly defined lines about what is and isn’t okay, both for players and the crowd. I suppose also the other argument for Warner down the order is that, out of the three potential openers, he is the one who’s game could best adapt to batting at almost any point. He can open and anchor an innings, he can come in through the middle and push the ball into gaps and run hard, and he can start hitting the boundaries from ball one. So even if Warner might be the best option to open, the thought that of the three he is the best equipped to fill other roles in the team is more what leads to the thought of putting him down, rather than just because “you can’t break up the Finch – Khawaja partnership”. Still not sure what I would do in that case. I can see the arguments for both. I think Khawaja is much better opening than even batting at 3. If he is displaced from the opening position, I find it hard to find a spot for him in the team at all. I do agree on the running between wickets though. 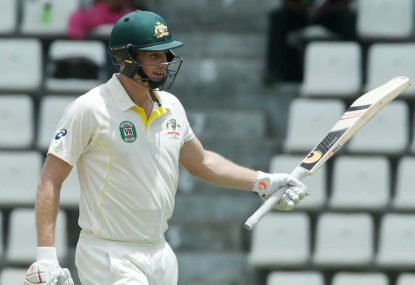 Neither Finch or Khawaja have tended to be players who’ve pushed hard on the running. So they aren’t going to push each other. 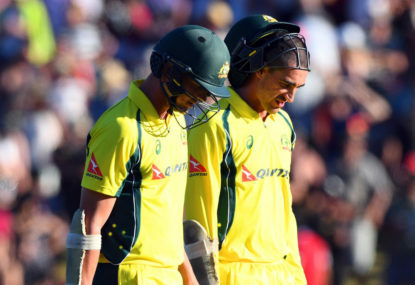 Warner partnering with either of those two will push them to run harder and get more two’s where the Finch – Khawaja partnership would have just ambled through for one. Although, to bring in an injury backup in that way would require completely ruling out the injured player for the remainder of the tournament. So you couldn’t, say, bring him in to replace someone who has a slight straight that might keep them out for one or two matches.